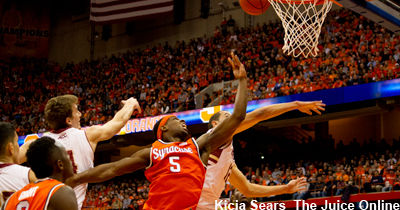 Turnovers and inconsistent defense plagued the Orange throughout, but they managed to put away a feisty Louisiana Tech team on a Rakeem Christmas jump hook with 2.8 seconds remaining. 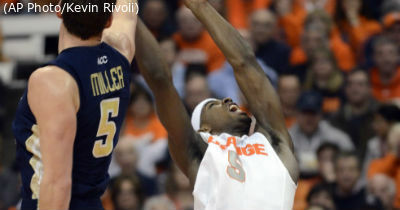 Syracuse improved to 4-1 with a win over Loyola (Md.) on Tuesday night. 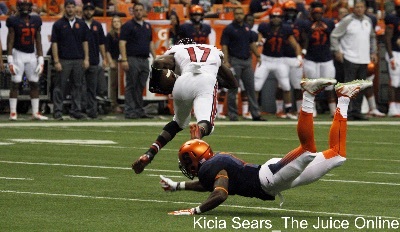 A Syracuse fumble recovery immediately followed by a Terrell Hunt interception? Check! A drop in the end zone so egregious the Dome crew actually played the train whistle because it looked like a certain touchdown? Check! 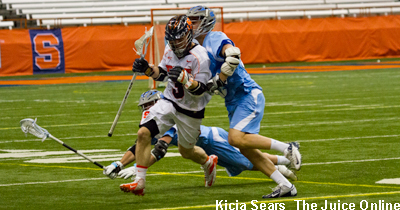 What looked like a rout turned into a nail-biter as the Orange, down 6-3 at half and looking stymied by the Tar Heel D, stormed back to tie things up at 7 going into the fourth quarter. 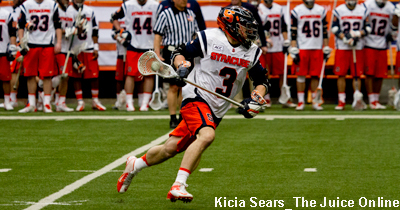 Syracuse overcame a first half plagued with turnovers and lost faceoffs to put away a feisty but mediocre Binghamton Bearcats squad. 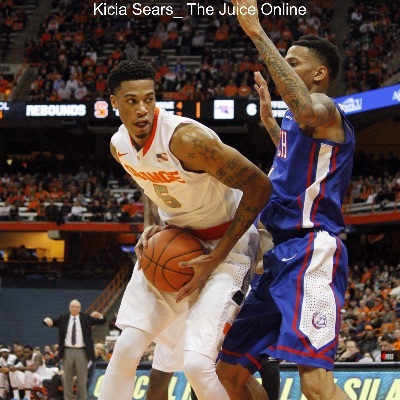 Relying on a full-court press for the first time this season, Syracuse was able to cut the deficit to 61-59 with 34 seconds left after Michael Gbinije tipped in a CJ Fair miss. But Trae Golden went 6-6 from the line down the stretch, and the Orange missed three of its final four shots to drop its four game of the season. 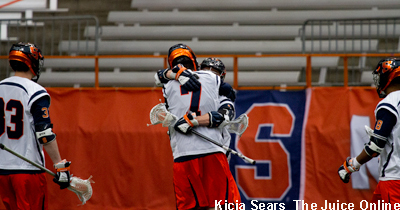 Syracuse had one final chance to tie, but Trevor Cooney badly missed the equalizer with six seconds left and the Orange dropped to 25-1. Christmas’s offensive stats are way up. He’s shooting an absurd 74% from the field compared to 53% last year. His rebounding and blocks are slightly down, but he’s more than making up for that with his efficiency at the offensive end. 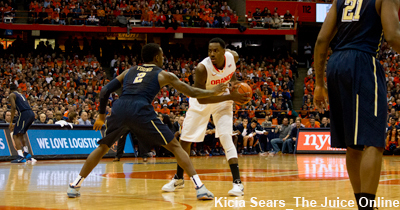 Syracuse hosted North Carolina on Saturday afternoon at the Carrier Dome. 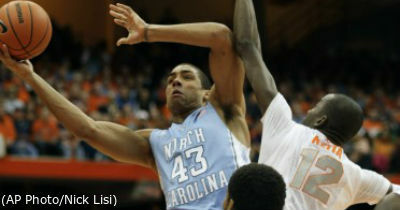 It was the first time these two teams played each other since the Orange defeated the Tar Heels 87-71 in 2009.